Michael Jackson shares his career story and his thoughts on the Financial Services sector in Ireland. I joined Matheson as an apprentice in 1991 when I graduated from UCC, having done the usual milk round of interviews. Having experienced different firms at interview, I decided that Matheson was the one that best suited me. I liked the culture, and the vision which people had for the growth of the firm at the time. It was a much smaller firm then with about 55 people, including partners and trainees. We now have 440 legal and tax professionals and more than 670 people in total. It is a very different place. I qualified into the firm’s corporate department and spent time doing commercial law and corporate M&A work. 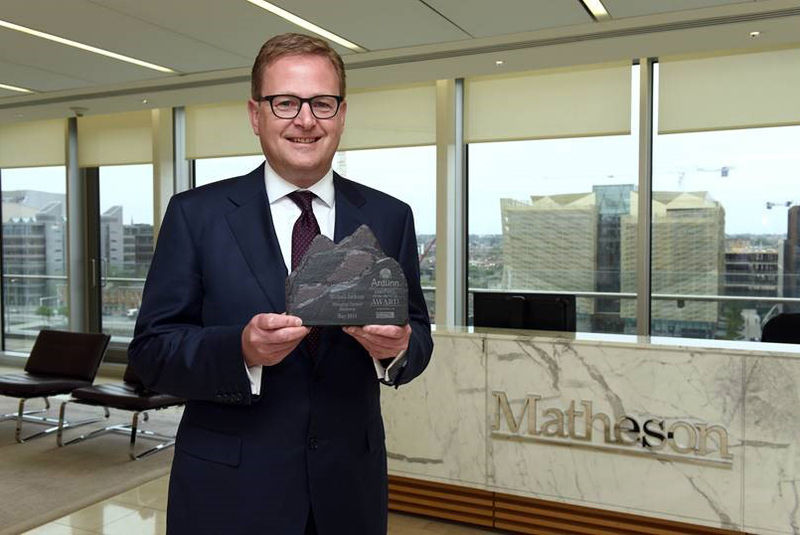 I then became part of Matheson’s emerging investment funds and financial services team. It was during this time that I had the opportunity to work in the US on a placement with a large law firm with which Matheson had strong links, and which has a strong financial services practice. I really enjoyed that experience and it happened to coincide with the World Cup in 1994, so it worked out particularly well! I returned to Ireland and have since spent my career here, apart from a period of time on secondment with a large financial institution in London. That experience was invaluable – it gave me a real sense of what it’s like on the client side. Since then, I have been a strong advocate of secondments, where lawyers can experience ‘being the client’ for a period of time, and we actively encourage secondments at the firm. I was appointed Asset Management and Investment Funds Partner in 2001. At that time, I had a fairly broad financial services remit, both on the regulatory and asset management side. Over time, I began to focus more on asset management, as we built our other regulatory teams. That said, I have remained very active across the full range of financial services. There is real convergence in regulation across the sectors in financial services now – and clients expect their legal teams to service that. That focus on financial services over the years has really mirrored wider FDI policy - was that a deliberate strategy? 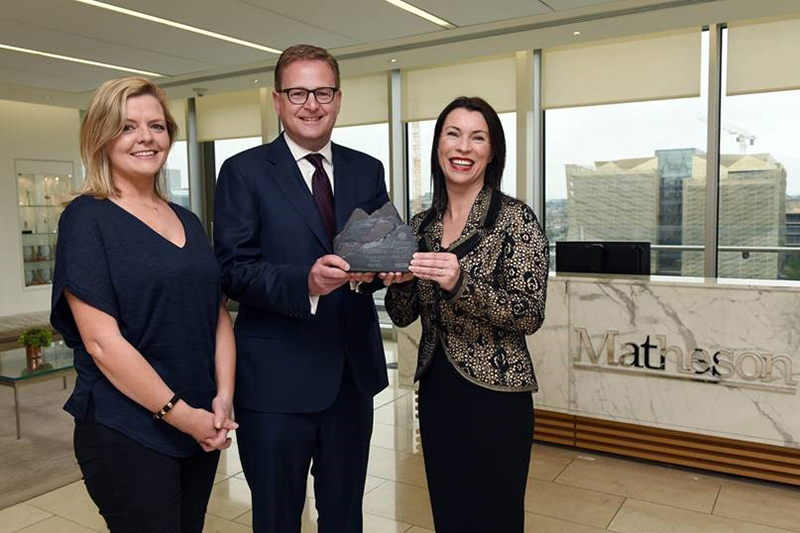 A number of years ago, as a business Matheson chose a strategy which was to be the law firm of choice for internationally focused companies and financial institutions doing business in and from Ireland. We have been very successful in developing and building out that strategy. More than 80 per cent of our revenues come from internationally focused companies. Sometimes, people mistake that as an exclusive focus on acting for foreign or FDI companies. 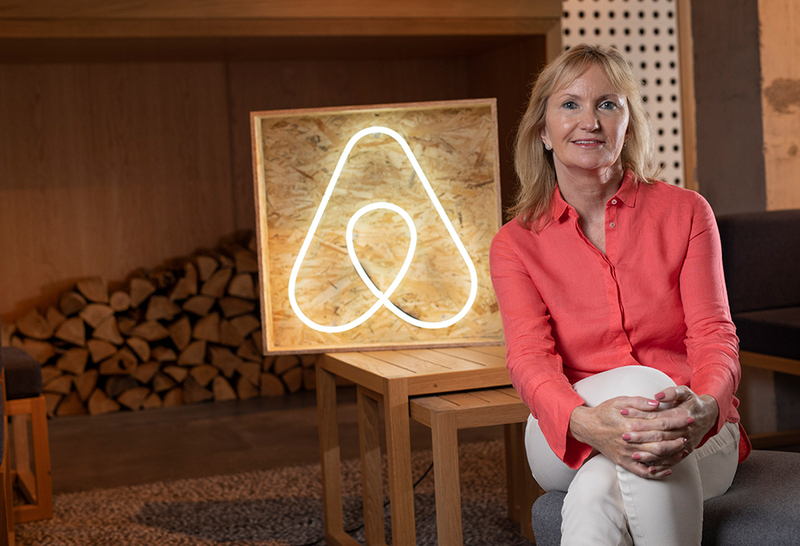 The reality is that we also act for a range of large Irish internationally-focused companies. This is particularly the case in the current environment, with Brexit requiring so many Irish domestic companies to look beyond their traditional market in the UK. As a firm, Matheson is very well placed to help those companies grow and expand into markets in which we have many years of experience, advising clients as they access those markets. 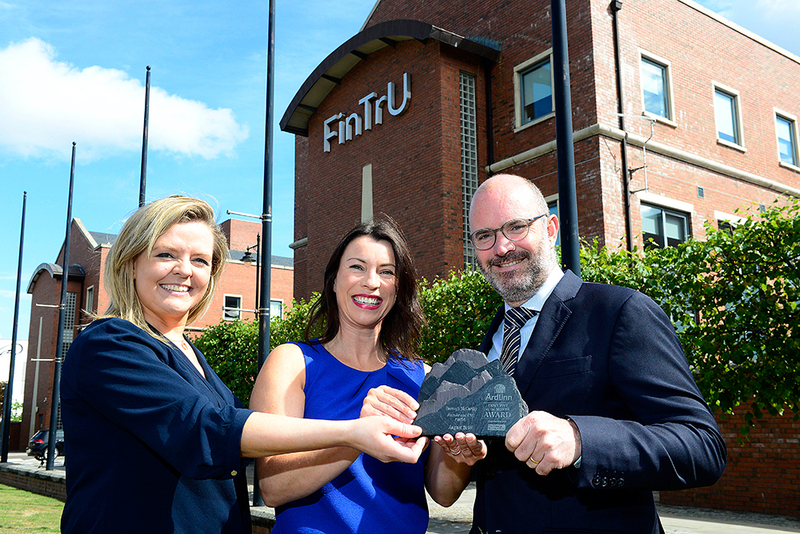 Having that defined strategy to be the law firm of choice for multinationals with operations in Ireland and Irish businesses with an international focus has certainly helped us to shape and direct our resources, efforts and training into delivering the excellence in service levels which internationally-focused clients expect! 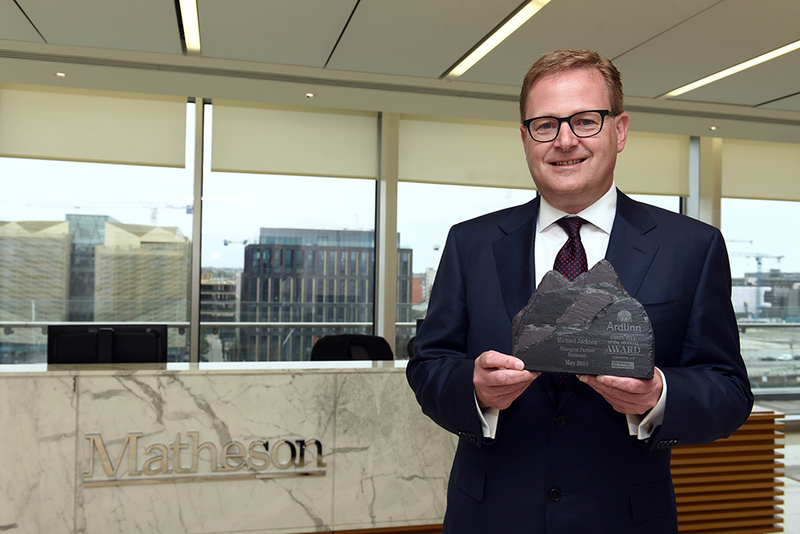 Your career at Matheson has gone from strength to strength over the years - what do you attribute your success to? Sometimes it’s about being in the right place at the right time. Looking back now, it turns out that I started out as a commercial lawyer at a good time, and I have been fortunate to be surrounded by great lawyers. Hard work is absolutely necessary however. People talk about how important experience is. The reality is that you gain experience through hours spent working on good transactions. The harder you work, the more experience you build up over time, the two are symbiotic. It is important also to maintain a balance with life outside the office however. Quality clients are important. I have been fortunate to work with many of them over the years. If you do good work and you act for quality clients, you have the opportunity to be involved in exciting work that is different and ground-breaking. When you are doing that, you are learning, you are developing your skills and you are in a position to constantly enhance and expand your range even further. Industry or sectoral focus is another important element for success. Being able to immerse yourself in your clients’ businesses and the particular sector in which they operate is crucial. You need to speak their language, and to understand why even a small legal change, which might not look like such a big deal on paper, is potentially a very big deal for their business operations. That allows you to help your clients to find solutions which minimise the potential disruption which could otherwise be caused by that change to their business. Brexit is one of the factors affecting the legal sector at the moment. The financial services sector has probably seen most of the early activity in relation to Brexit and we have quite a number of financial institutions with applications at various stages with the Central Bank for authorisation to do business in Ireland for the first time or expand the range of activities they carry out here. We are now seeing that expand beyond financial services into other sectors like pharmaceuticals, life sciences and technology. We expect that to continue so, while Brexit could have a negative impact on the domestic economy, I think there are real opportunities in the internationally facing part of the economy. I think we need to do as much as we can to continue to attract as much of that business as possible. Tax changes in the US are also on clients’ minds. We are certainly seeing people look at repatriating cash balances back to the US. That had been expected and we don’t see it having a materially negative effect on activity levels in Ireland. What we are seeing is that clients still believe that Ireland is still a good place in which to invest despite those rate changes in the US. People are very cognisant of the fact that, to access European markets, you usually need a presence in Europe and so, while a competitive tax offering is very important, it is not the sole factor in decisions about where to invest. Ireland still has one of the best offerings in terms of enabling US companies to access European markets. We have a similar business culture to the US, similar language and a similar legal system. All of those factors really help and we are still seeing a strong pipeline of good projects from the US. We opened our third US office last year in San Francisco, so we now have offices there and in New York and Palo Alto. That reflects the fact that we are seeing increased business from the US. Other trends we are seeing include increased demand for specialisation. Clients want to talk to people who understand the detail as it impacts their industry or sector. That suits us, because it is the approach we have taken for many years. It is particularly noticeable in disputes work, where industry, sector or regulatory expertise can be the difference in achieving successful outcomes for clients. The final trend I would note is the increased focus on technology in the delivery of legal services. That is something we have spent a lot of time on in this firm. We have what we call a Smart Programme. It is about encouraging innovation, which is one of our values. We see it as a combination of doing lots of little things better, but also investing more in technology. We have for many years used technology for discovery and litigation. We have invested heavily in our systems and cybersecurity. We have also looked increasingly at the different AI (artificial intelligence) products out there. I have yet to be convinced that they all do exactly what people would like them to be able to do, but we are watching the area very closely and continuing to identify the technologies we think make sense for our business and our clients in terms of the ways in which we deliver our services.